We talked earlier this week about words and their power and place within the parks of Walt Disney World, but words are just as powerful no matter where they are found. Say, for instance, on a miniature golf course. While Fantasia Gardens may putt around with the theme of music and animation, it is the words here that could make or break your game and spirit. Comprised of two 18-hole miniature courses, Fantasia Gardens has offers a challenge to every level of golfer. 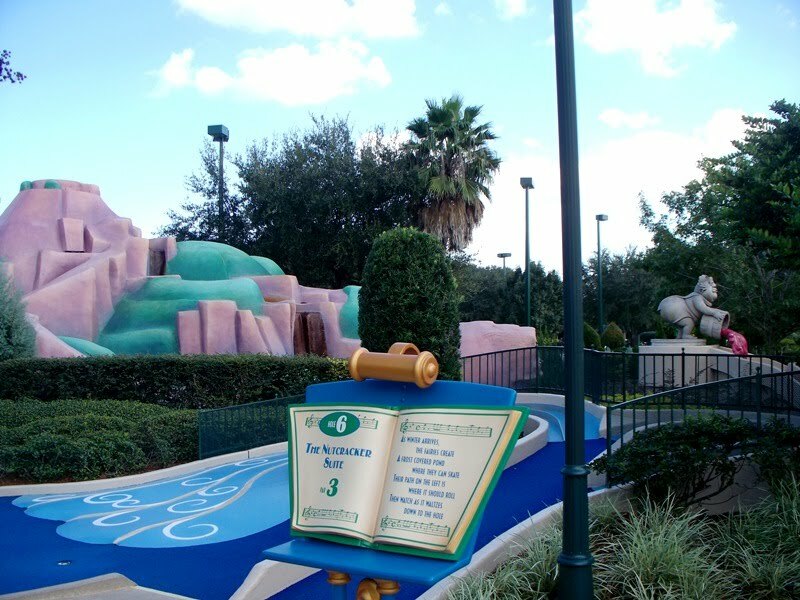 While the Gardens Course may play to the whimsy inherent in the feature Fantasia, the Fairways Course is composed of holes that play with the science and art of the music included in the film. 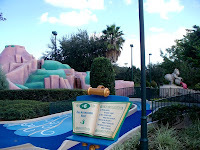 However, both courses use wordplay, an element rarely used throughout Fantasia, to give players a glimpse into the future of the holes and how they should be played. 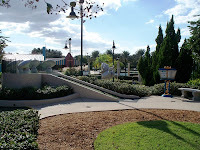 The Gardens Course use the motion of words in poetry to move the game along and pass along clever hints. Just as the course’s design is more serious in nature than the Gardens Course, so too are the clues that are presented along the Fairways Course. Not surprisingly, however, both courses contain a fair amount of wit and riddles to uncover while you plot your next putt. Let’s play through and see what each hole has to offer. 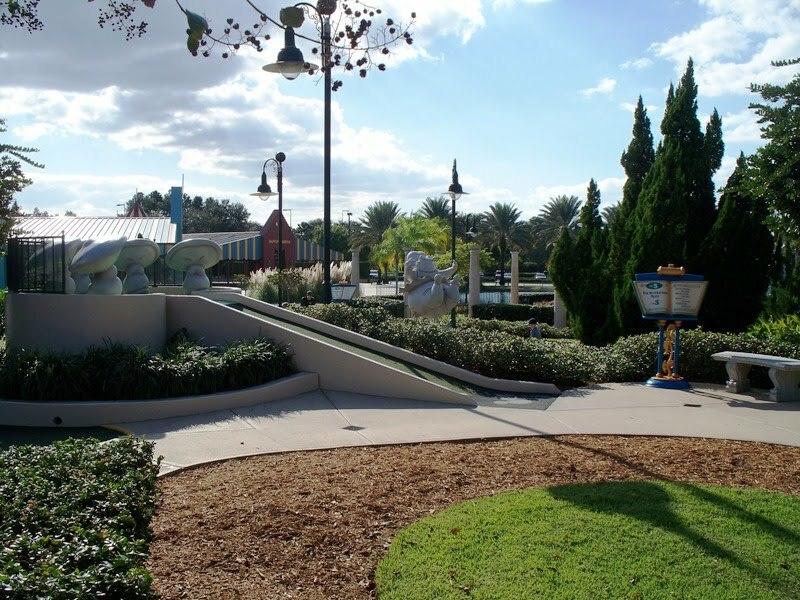 Ben Ali Gator - You're ball will have to twist and turn like that dancing gator to avoid this trio of traps. :) I tried Fantasia Gardens for the first time on last July - really enjoyed it, I tried to take a photo of the 'poems' on each hole but missed a few.. thank you for sharing!